How does a fifth grader feel getting ready to do a live edtech demo at their local school board meeting? Ryan had this chance to shine because of Fresno’s Personalized Learning Initiative (PLI), which has been fostering student voice, choice and collaboration over the last two years. A report released this September by Digital Promise, Microsoft, Fresno and Houghton Mifflin, tells the story of Fresno’s PLI and its impact on learning across the district. With 71,000 students, Fresno is the fourth largest district in California. Seventy-eight percent of its students are low income and 22 percent are learning English. In other words, Fresno Unified represents some of our country’s most disadvantaged students. But last year, changes in Ryan’s classroom gave Ryan a different way to participate in learning. And that change has allowed Ryan’s learning and, more importantly, his mindset about learning, to thrive. 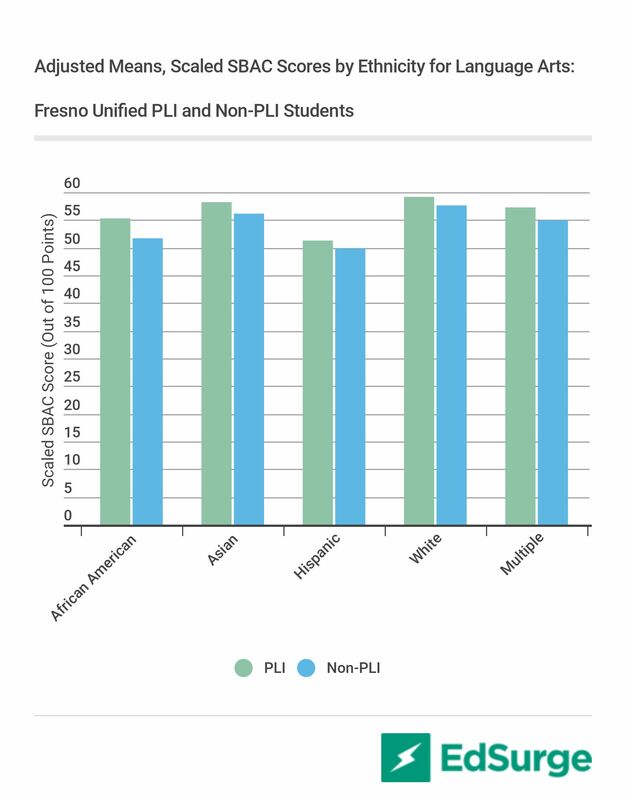 His experience is not unique: over 17,000 students in Fresno were involved in the PLI last year, and the data clearly shows that most of those students made statistically significant gains. What exactly is happening in these classrooms? How does the community of PLI teachers foster these changes? What enabling conditions has the district put in place for this to happen at scale? Three key elements tell the story of the PLI’s success. When it started in 2016, many teachers saw the Personalized Learning Initiative as just one more initiative. Despite “initiative fatigue,” out of Fresno’s 3600 teachers, 400 applied in its first year and 220 were randomly selected to participate. Many of those teachers applied because they realized that if their students didn’t have experience using tech for creating, collaborating, communicating and learning, they would be ill-equipped for future life and work. What these teachers didn’t know was that the initiative would bring new life to their own approaches to teaching and to their own learning. Now in its third year, the PLI is welcoming its 3rd cohort of teachers from across all 101 of the districts schools and includes over 600 teachers. The 2018 PLI kick-off session started with giving teachers the time and space to talk openly about what student voice is, why student goal-setting is important, and what digital literacy means in today’s complex world. Technology tools are used as a natural part of this conversation– teachers access content and have online discussions using the same tools that they will be using in their classrooms. The focus is on how to engage students meaningfully in learning, and teachers use digital tools as an enabler of that conversation. This collaboration is essential for teachers trying out new practices. These professional communities help them share the risks involved, giving them a voice and peer mentorship through the inevitable classroom implementation challenges. Most importantly, it gives them a community in which to celebrate their students’ successes as those students’ voices, learning and engagement light up. Many districts across the country are undertaking initiatives that combine technology with innovative pedagogical models. However, very few of these initiatives combine teacher professional learning, technology integration and advanced analytics that show where and how the implementation is improving outcomes. Through a partnership between Fresno’s PLI team, Microsoft and Houghton Mifflin Harcourt, the PLI has gone further by incorporating learning analytics for an improvement approach to the work. We have developed a learning analytics platform that integrates data from across Fresno’s systems—from student information system data to school climate surveys to state assessments—with app usage data into a common data model. 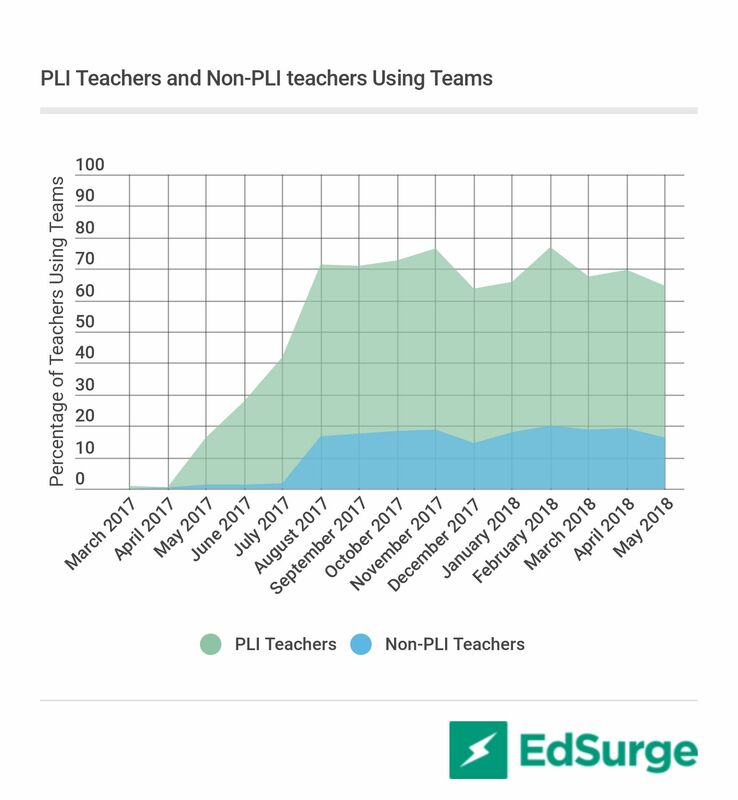 The analytics enable PLI stakeholders, from the district’s Board straight through to principals and PLI teachers, to see the degree that the PLI is being implemented and its impact on learning outcomes across the district. The report describes how, in the 2017-18 school year), the PLI is beginning to close historic achievement gaps, how its high-quality teacher professional learning is driving this success and how the learning analytics partnership has provided enabling conditions for sustaining the progress. Participating in even one or two PLI professional learning courses has an impact on learning outcomes. 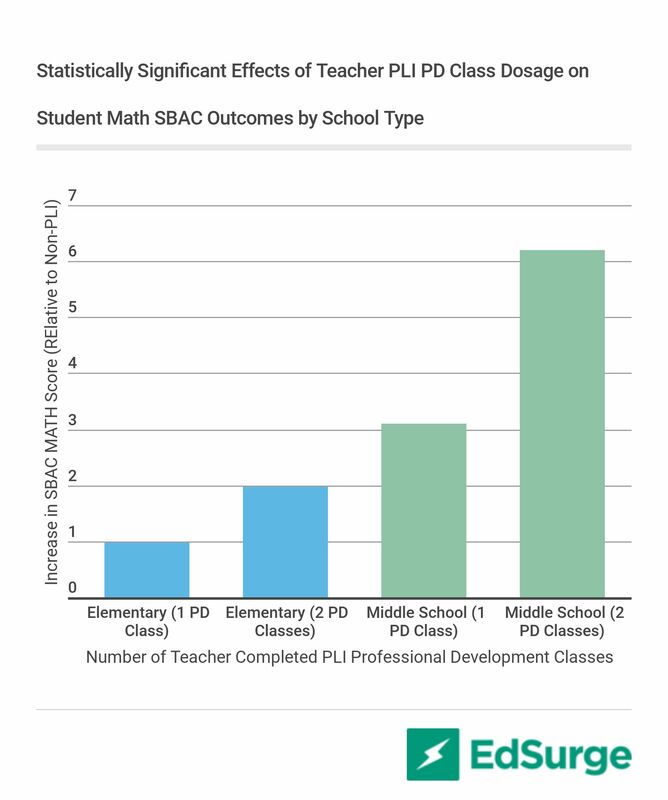 For example, middle school math teachers who participated in two PLI sessions saw their students’ math scores on state standardized assessments (SBAC) improve by 6 percent on average. The analytics show the big picture of improvement, which helps convince parents, the district’s leadership, and teachers themselves that the PLI is, in fact, working. It enables stakeholders to see that traditionally disadvantaged students who are in the PLI are making statistically significant positive gains in learning. 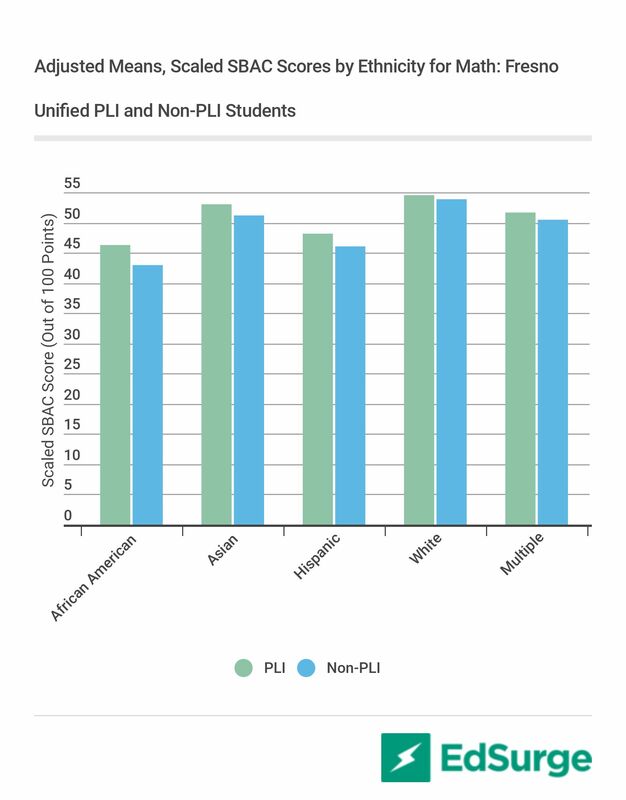 For leadership, such data provides the evidence needed to sustain and expand the PLI’s momentum. Of course, these gains are the result of teachers changing the approaches they use in their classrooms. PLI teachers are challenging their students to use their voice, to engage in real world problem solving, and to use technology to collaborate and make their own choices about learning. Just one example of this is a teacher at Hidalgo Elementary School, who last spring put the PLI ideas into practice. She took an existing standard curriculum task—asking students to interview another student—and extended it to include real world problem solving. Students decided to interview new students, and discovered a problem in their school: New students didn’t feel like they belonged. So, the class decided to start a “New Kids on the Block” welcome program, presented it to the school leadership and other classes, and began to implement the program school-wide. Such changes in approaches in individual classrooms have ripple effects in school culture—student engagement ignites and student ownership of learning expands. Learning analytics to provide visibility into progress for all stakeholders. Learn more about the PLI and hear Ryan Fernandez’s story at Edsurge’s Fusion conference.